If you remember a while ago I wrote a post (I see babies everywhere) that two of my good friends were pregnant. I am happy to announce that both of them gave birth to beautiful babies. SK had her baby girl before Christmas. The baby was quite big, 4.9 kg. She looked so adorable in her hospital gown. She looked like she was already a few months old but she was only five days old when I went to meet SK. I am in so much in love with her already. She has lots of hair, small eyes and long fingers and toes. While we were in the hospital she didn’t cry at all. She just looked at us and made funny noises moving her arms and legs. I can’t wait to see her in her little pink dress I bought for her. Girls are so easy to buy for as there are millions of choices. They named her SS and here are some beautiful photos of her. When I was talking to SK about the birth I was a bit scared to hear what she had to go through. As the baby was overdue, they induced her to start the labour. They gave her a drip which she said was painful. As she started to have pain, little SS’s heart rate became really high so they decided to do caesarean. It was a last-minute decision but very good one as the baby was big and natural birth was near impossible. Anyway after the birth SK was still in pain. It was a major surgery and it will take her a few weeks to recover. I am so glad she has her parents, brother and sister-in-law there along with her husband who look after her and little SS. RD had a baby boy last week and they named him AD. He looks so cute and weighs 4.28 kg. RD was also overdue so they had to induce her as well. She spent 2 days in hospital before she had the baby. She was complaining how she had to be in labour for 7 hours before they decided to have a caesarean. Lucky for her, her husband and her mum were there every minute to look after her. Here are some beautiful photos of adorable AD. Both moms are super happy and now back home with their buds. They both said they would not have it any other way. Guess the joy of motherhood is beyond comparison. For me I have two more babies in my life who will call me aunty. It is such a joy to be around kids and looking at them made me love them more. I am sure there will be more posts around these babies in the future. I have a friend from school who used to be very close to me. We used to talk and share our dreams together. We used to have sleepover and share a close bond with each other’s families too. When I came to Australia we used to talk often and kept in touch. 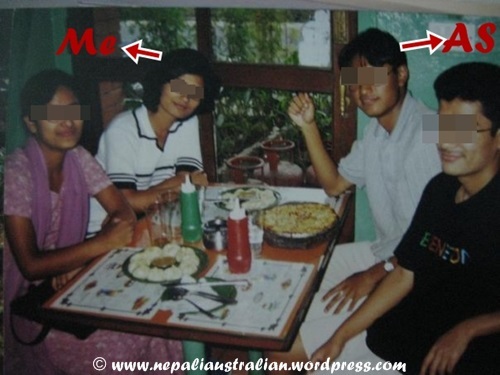 Our friendship was really strong and my parents used to invite her for all the festivals even I was not in Nepal. I was there to support her and she was there to support me even when we were miles apart. 5 years ago she decided to come to Australia. I helped her in every possible way. She got a visa to come here and stayed with me. I was really happy to have my friend close to me again. It was going well until one day I found out that she was dating my friend, who I had introduced to her. I was a bit hurt as I would have wanted to hear that information from her but I heard it from a third-party. I didn’t say anything to her. I didn’t ask any questions but waited for her to be ready to talk to me. From that time on even as we lived together, we hardly saw each other and had really no conversation with each other. I tried a few times to catch up with her but she seemed too busy with her boyfriend and his family. Six months went by and we went from good friends to just room mates. Then she told me that she was going to marry her boyfriend. I was really happy for them as I knew both of them well. I did my best to help her with her wedding but whatever I did didn’t mend the distance between us. After the wedding she moved in with her new husband and we didn’t really keep in touch. I called her up a couple of times but I got the feeling that she didn’t want to talk so I stopped calling. 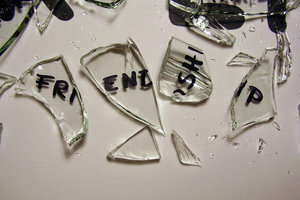 I have no idea what happened between us but in this unknown way I lost a friend. We still meet during functions organised by common friends but we just say hi and that is all. Last weekend when I went to one of the gatherings, one of my girlfriends informed me that she is expecting a baby. I was so happy to hear the news but I don’t know what I can do. I thought of calling her or writing her an email but I am scared. What if she doesn’t response to my email? or What if the phone conversation becomes awkward? are all the questions that are stopping me from reaching out to her. I am not even sure she wants me to be a part of her life again. Just confused on what I can do next. Should I leave things as it is? Or Should I reach out to her? Can anyone help? If you have been in a similar situation, what have you done? P.S: I am writing my version of story as her version can be very different from this. Yesterday I was just going through my old papers and I came across a pile of letters. They were letters from my pen pals from my school days. 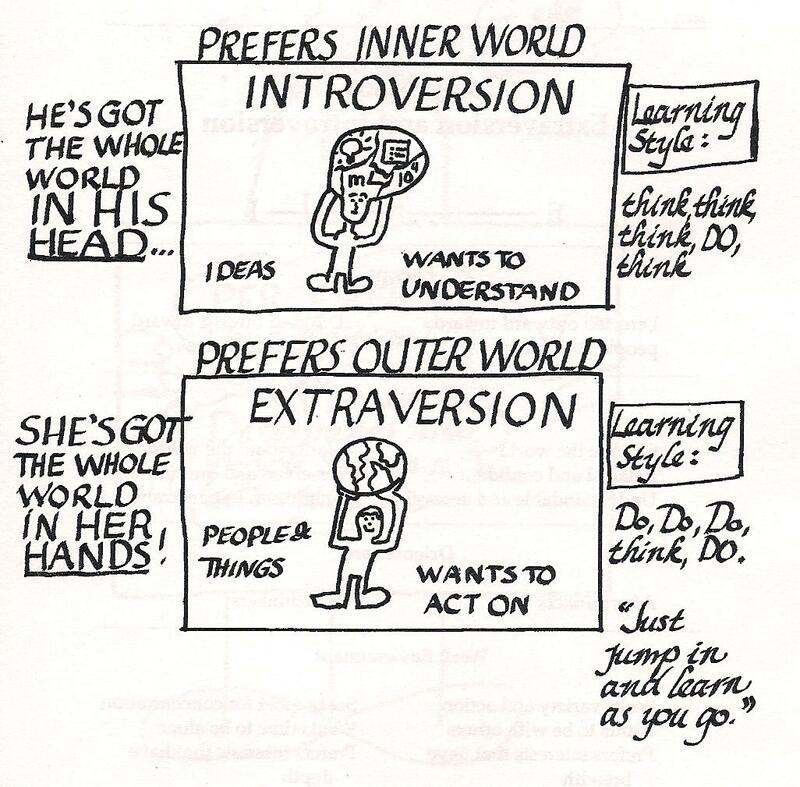 When I was in middle school, we had an English teacher named Sally Baker who encouraged everyone to write. So she had this idea for all of us to have pen pals from different schools around the world. She got around 100 letters from students from US and randomly gave those letters to us. My name is Emily. I love flowers and Unicorns. There were a few stickers of unicorn. I felt so special to get her letter so I send my first letter to her and then we were pen pals. She used to send me birthday and Christmas cards and I sent her Dashain / Tihar and birthday cards. It was fun to know someone so far away. It was really nice and I would tell everyone who listened that I have a pen pal in US. Around the same time, I also made 2 more pen pals, Ahmed Yakub from Lahore,Pakistan and Raja Gurung from Darjeeling,India. With Ahmed Yakub, I had a short friendship as he stopped writing to me after few months but with Raja, our friendship is still on. He is my Facebook friend now. He is happily married with 2 kids. Back then, he used to send me ‘Churpi’ from Darjeeling and it was a big treat for me. Churpi is a dried smoked cheese and they said Darjeeling’s Churpi is the best. He even came and visited me when he was holidaying in Nepal with his parents. It was so weird to see him in person. Even though I had seen hin in photos both of us felt bit awkward when we meet face to face. But I was glad we met. He is one of the nicest persons I have ever met and I am glad he is my friend now. With Emily, I lost touch after 1998. I am not sure what happened but I didn’t get any reply for 3 of my letters so I stopped writing to her. 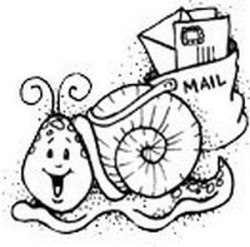 I can’t believe I used to use snail mail and wait weeks for the reply to come back. It was really exciting to see the postman coming to my door and deliver the letters from my pen pals. Surprisingly back then my mail was never lost even when it contained birthday gifts and big packages. I f someone asked me to write a letter these days I would never do it but back then I learnt so many things from these pen pals about their country and culture. There was no internet or 1000’s of channels on TV so my source of information was books. 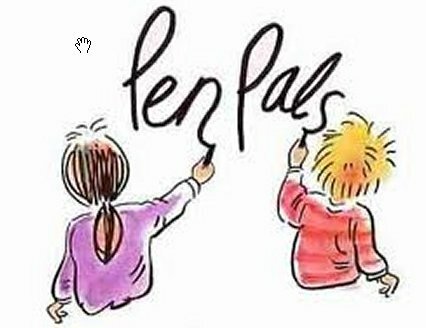 I used to go to libraries and read lots of books but to have pen pals had its own adventures. I received first hand information from them. I could ask questions to them and they would write about things in their countries. 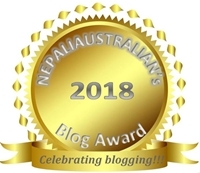 I used to write about our festivals and send them postcards of Nepal. Emily once sent me the American flag. While blogging I felt, it is a modernised version of having a pen pal. We don’t know people when we start reading someone’s blog, they are just a name or initial in most of the cases but if we follow their stories, we learn a lot about them. That’s why I guess I started to blog and read blogs. This post is dedicated to my dear friend SD. It is so true that you meet three different types of people in life. Some for a reason, some for season and some for a lifetime. 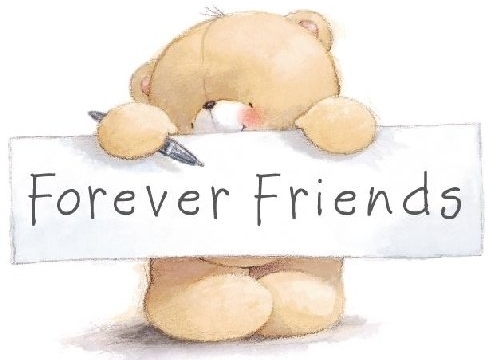 Today I am missing my dear friend SD who is one of the few friends who is for a lifetime. I met SD during my middle school years and since then we have been very good friends. You know sometimes you meet some people for the first time and get this impression that they are so carefree that you wish you could be like that too. That is my friend SD. She is always daring, carefree, positive and fun-loving. She is the youngest of 7 kids of her parents but she is the only girl. 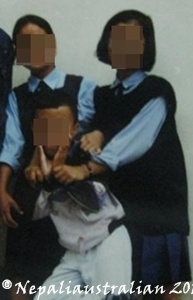 She has grown up with 6 protective brothers and as they were her mentor, she is very boyish. I think that clicked between us at first as I was a tomboy myself when I was young. We used to do lots of things together and one of the good memories from my childhood would be our sleepover. We used to talk through the whole night, no idea about what but it was super fun. Life has thrown us thousands of miles apart but we always manage to stay close and keep in touch. 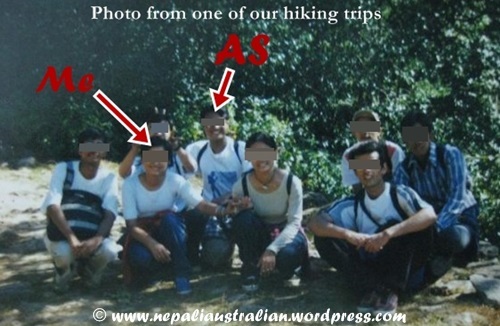 When I came to Australia, she was in Nepal. We kept in touch with emails and phone calls. The first time I went back to Nepal, she left to Austria after 2 days of my reaching Nepal. It was really sad for both of us. The next time I visited Nepal, luckily she was there. I had a great time as she took me to places, we did things together and she was just there for me. We did lots of talking and caught up on lost time. After that every time I went home, she was in the US so we didn’t meet for a while. Then I went to US for my holiday in 2009 and stayed with her in NY. It was like old times again and she was my guide there. 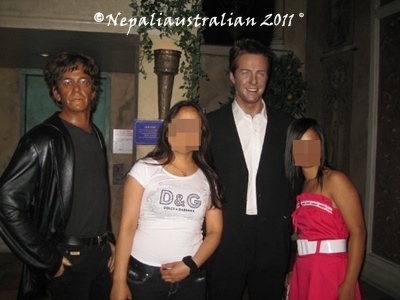 We went to Time Square at midnight and had our funny photos taken at Madame Tussaud’s. We went to the Statute of Liberty early in the morning and Central Park at midday. She was up for every crazy idea I had as a tourist. She was the one who took my photo with a NYPD cop. I wanted to take a picture but didn’t know how to approach the cop who was working in the middle of street. She went and talked to him and told him there is this crazy tourist from OZ who wanted to take a photo with him. I had fun shopping with her and tasting lots of American food. I met a few of her new friends as well. As everything had to come to end, my holiday was over too and I had to come back. I was sad to leave but I had no choice. Then in 2010, when we talked after my engagement ceremony, we decided that we have to attend each other’s wedding for sure. In early 2011, things were looking great as she had already filed for her Green Card and was sure that the processing would be completed before June so she would be in Nepal for my wedding. We were so excited but then she got a letter from immigration telling her that they lost her paperwork as there was a mix up with addresses. We still hope that things would fall into place and she would be able to fly by June 20 for my wedding on the 24th. The paperwork did not arrive in time and so she missed my wedding. She was sad and upset that she couldn’t make it but I did understand her situation. If she had left the country for the wedding, she would not have been allowed back so she had to what she had to do. I had her family expect her parents in my receptions. Her parents didn’t come as her dad was ill. I went to see her parents before I came back. It was always nice to see them as they always treated me as their own daughter. Finally in August, she got her Green Card so she decided to go to Nepal for a holiday. Out of blue things happened so fast and her wedding was fixed for 2nd of December 2011. I was so happy for her and at the same time a bit sad that I would miss out on the wedding as there was no way I would be given any more vacation time from work this year as I had taken so much time off for my own wedding. We were still constantly in touch and I was advising her on what to do and where to go for the preparation of the wedding, from my own experience. Every time we talked she would day “Wish you were here. It would have been so much better.” and I felt very sad. “Yesterday SD’s dad passed away”. When I read that I didn’t know how to react. I was really shocked that when I was thinking she is in the happiest moment of her life, she was going through the grief of loosing her dad. He had been a bit sick but his passing away was unexpected. I couldn’t say anything but I admire her positivity in the rough time she was going through. All I wanted to do at that point was give her a big hug. I wish I was with you there my dear. I am missing you a lot. And I promise to be with you when you get married in 2012. P. S: In Nepal, if someone dies in the family, the family will not celebrate any festivals or birthdays for a year and there will be no wedding or any other happy celebrations for that year.